Prevents choking of catalyst converter/particulate filter due to deposits formed after using low-quality fuel. Ensures more complete fuel combustion, increases its octane/cetane rating and improves engine capacity. Allows to avoid costly repair in case of catalyst converter/particulate filter malfunction. Provides complex cleaning of fuel system and combustion chamber from all types of contaminations and deposits. 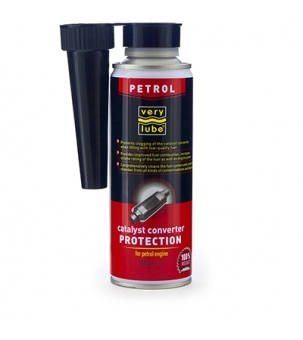 Contains only organic (non-metallic) compounds, guarantees protection of exhaust system parts from burning through. Contributes to cleaning of catalyst converter/particulate filter from deposits formed earlier. Introduce the bottle contents through the neck of the fuel tank before fueling at the ratio of 1 bottle (250 ml) for 40–60 L of fuel. Drive the car as usual.